He is also known to be dynamic in his playing skills as well as in managing the game. He would be bringing in considerable experience for the team. He has represented other teams before like Ospreys, Crusaders and the Northampton Saints. 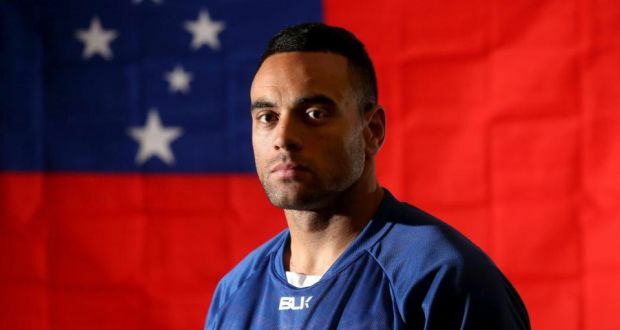 His debut for the Samoa team was a match winning spectacle. It was in the year 2010 against the Japan team. After that he has represented his nation about 27 times till date. The last representation was in the World Cup for Rugby in 2015. This definitely showcases a fruitful career of the player and many are hopeful that his skills will prove to be a rich addition to the team. While the team is excited about the addition, Fotuali’i on the other hand, is excited too. Bath rugby team has a rich history and successes on the field that many want to be a part of. One of the several advantages of joining this team would be the focus that is given on the personal development of the players. You will be able to spruce up your playing skills at an individual level which is a great benefit as per Fotuali’i. As the season is getting started, he is confident that being part of this team will help him to spruce up his playing skills which would bring in more successes this year. The first team coach also feels that Fotuali’i would be a great addition to the team who has a competitive spirit that would help the team a lot. He brings in leadership qualities as well which will definitely help the squad to push forward and attain greater heights this year.